Single in the City is a new addition to my blog stories ‘#Single In The City Fabulous Finds’ for everyone out there who is…..
My 4th Single in the City Fabulous Find goes to….dah dah dah dah…. WHY? Imagine…… being whisked away to an exotic location with gorgeous ocean views, mountainous valleys and hillsides lined with vineyards; where the warm sun relaxes you while the gentle ocean breeze tousles your hair; where amazing African animals roam so close to you that you can often actually touch them – all while enjoying the ‘medicinal’ effects of a full bodied glass of cabernet. Now, imagine that all of this is near …….Los Angeles. Oh no, did I just ruin your mental image? I bet I did! Impossible you say!!! If something this fabulous were somewhere in the LA region you would have known about it. 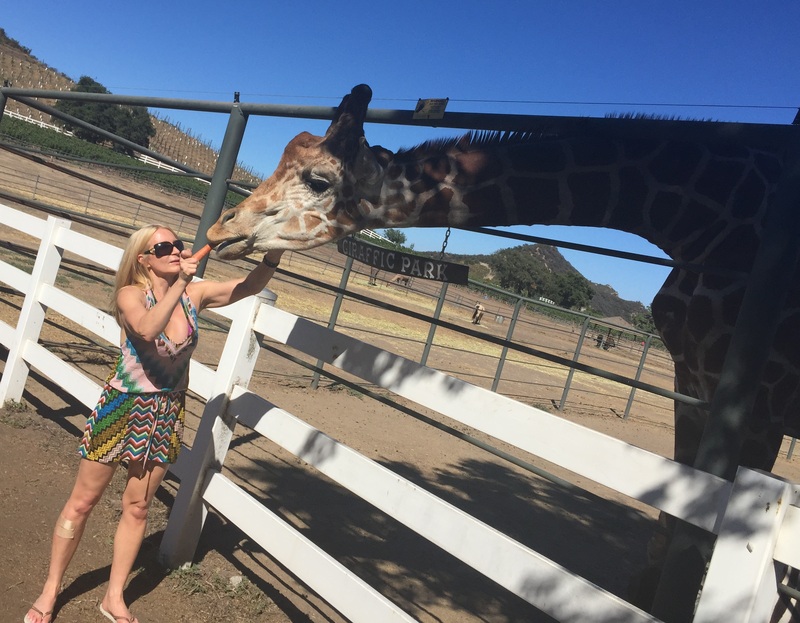 As it turns out, just outside of the bustling city of Angeles, in Malibu, lies this little known treasure – Malibu Wine Safari – Three magical words are far as I am concerned: Malibu……Wine…..and Safari. The Semler family’s estate, Saddlerock Ranch, is the playground for this mystical day. 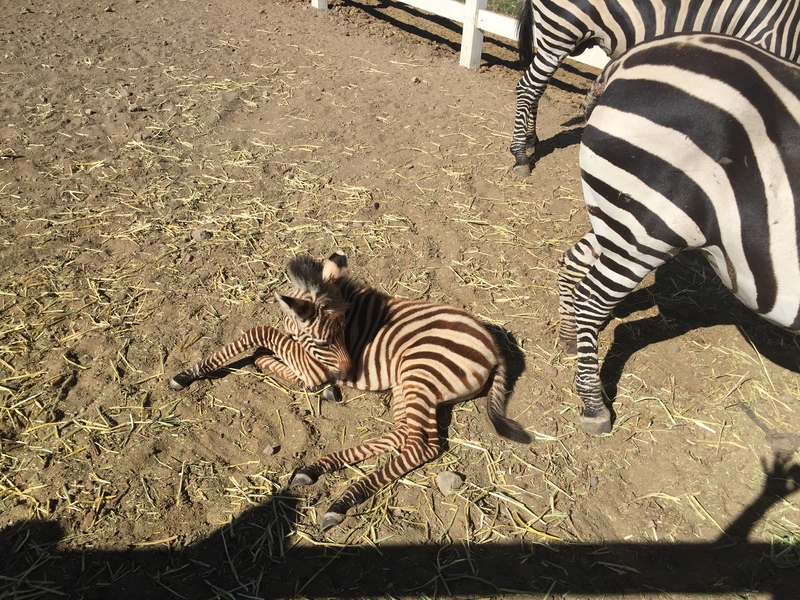 You likely already have heard of their award winning Saddleback and Semler vintages, but did you know that Stanley the Giraffe and Raffiki the new born Zebra inhabit this 1000 acre plus escape as well? It was on family Safari trip to Africa, where the Semler family participated in an African Wine Safari, which gave them the impetus to recreate this enchanting adventure. 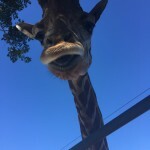 A family where 6 of their 9 children live in homes on what – is the largest parcel of land in Malibu – and a family who had already started to amass various exotic creatures due to their love of animals – decided to increase their herd and create a Safari experience for us Cali folks. 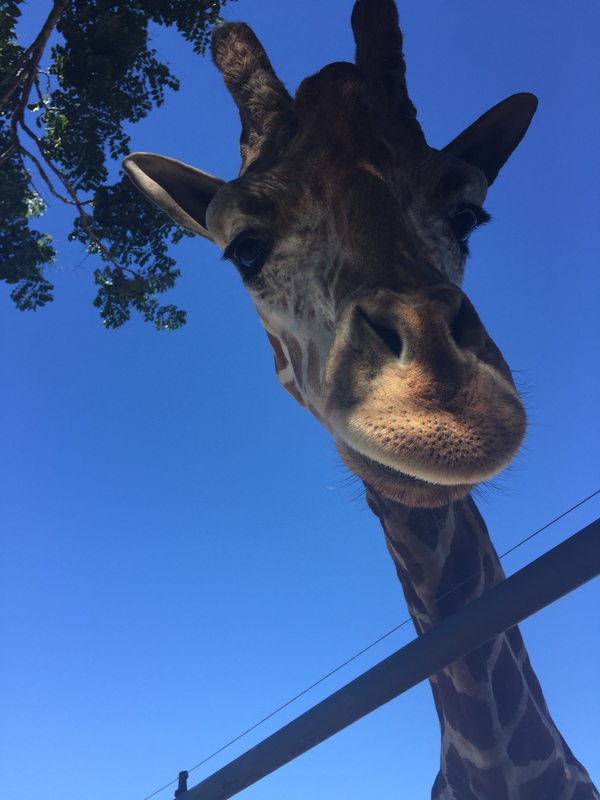 Saddlerock Ranch is now home to a variety of exotic animals, many rescued, and live and are lovingly taken care of in this immense, safe space where free roaming is not an issue. 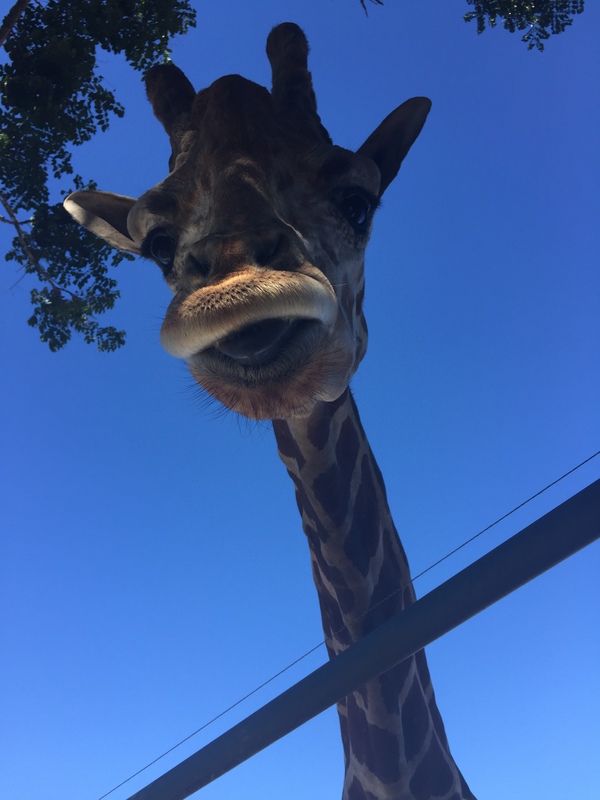 So if you want a fun, relaxing afternoon adventure in a Safari jeep, sipping up to 6 fleets of different wines and experiencing exotic animals up close – so close in fact you can actually feed and pet some of them – then I say the Why in this story is a Why Not! WHEN? Depending on your schedule and need there are multiple Safari adventures to choose from with varying prices and times. 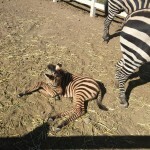 Family Safaris are only available weekdays. On weekends you have to be at least 21 years of age, as you taste 6 different fleets of wine – 3 white and 3 red- at stops during the Safari. 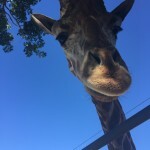 The Safari ends at Malibu Wines Tasting Room where there is live music, dancing and picnickers of all ages – and bottles of wines are freely poured and purchased. WHERE? Located on Mulholland Highway – about 45 minutes to 1 hour from Beverly Hills to this scenic Malibu refuge – and once you arrive, you feel like you are on vacation in a foreign land. Also, if you want to enjoy the city of Malibu and aren’t a picnic person, then no fear ….Nobu Malibu is only about 15 minutes away. And if think you might indulge in little too much vino, and you have some cash to spare, they have a helicopter pad for those ‘Donald Trump’ types in the crowd. WHO? For anyone who …. 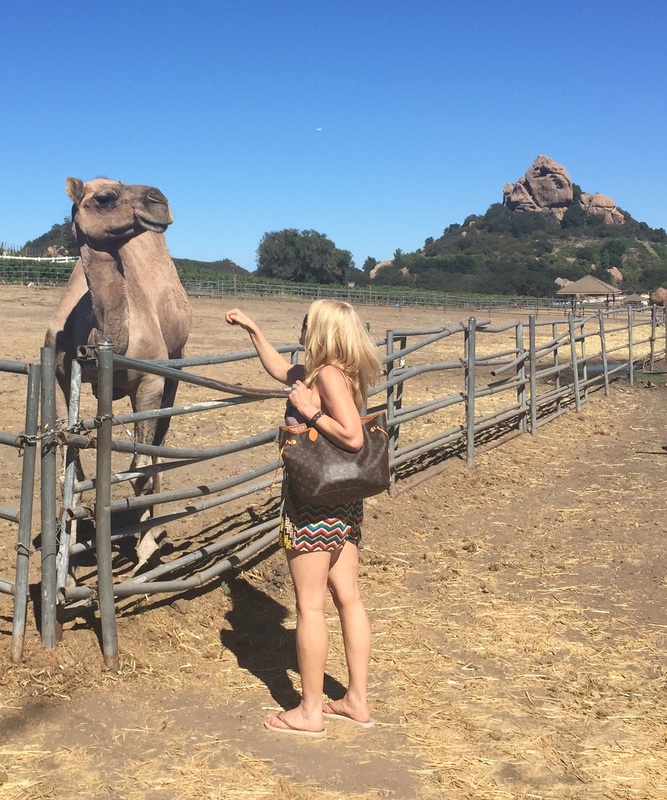 Wonderland Wonderlist: On top of all of the magic described above – the yummy wine, the beautiful and wonderful magical animals that are lucky enough to call this place home, and the gorgeous scenic views – Malibu Wine Safari makes my Wonderland Wonderlist for another VERY important reason. 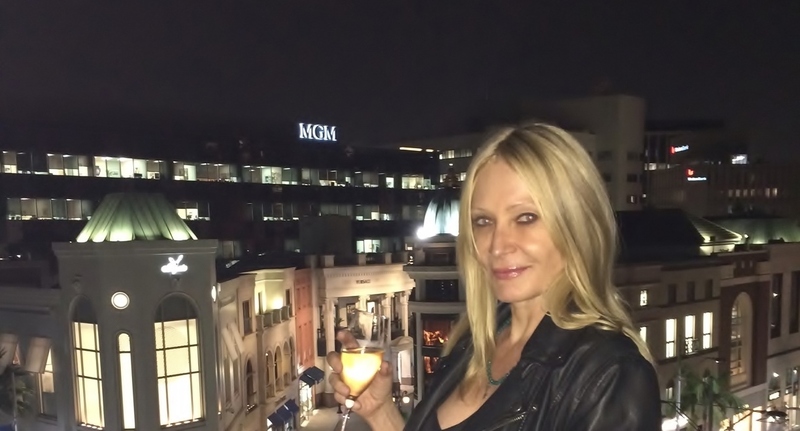 As a girl who is ‘#Single in the City’, I have to say the outdoor Safari Wine Tasting Room was a melting pot of people (dressed up or dressed down), all happy and dancing and enjoying life – and a perfect way to meet a potential new date. Hey, if a girl can meet someone wearing sneakers, cut-offs, a t-shirt and pig tails and make up free – and they think you are cute, then they are either really into you or…. tipsy. Regardless, a happy carefree person is an attraction magnet. Plus can you imagine how pleasantly surprised they will be when they see you wearing makeup, heels and a cocktail dress?